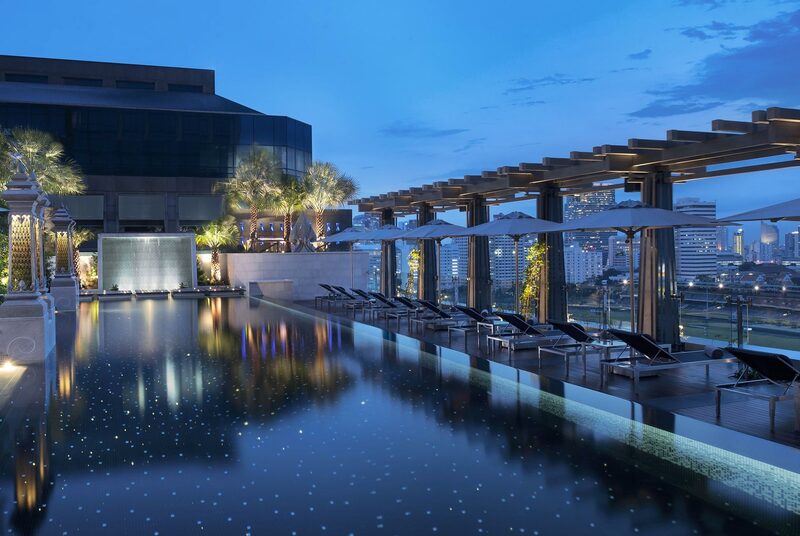 Experience the splendor of Bangkok from a premier location along Rajadamri Road, near the city’s elite business institutions, superb restaurants, and fine boutiques. Suvarnabhumi International Airport is an easy 35 minutes away. Enjoy the art of exquisite dining with vintage wines from a magnificent wine cellar. Find sanctuary and personalized indulgences at the exclusive Elemis Spa, and refresh in a magnificently inviting outdoor pool and well-appointed Exercise Room. Their 227 guest rooms, including 51 suites, are beautifully appointed with plush furnishings and refined amenities. Each offers an urban retreat with grand windows and unobstructed views. Every experience is enhanced with St. Regis Butler service.